View of the Bay of Naples with Vesuvius in the distance. 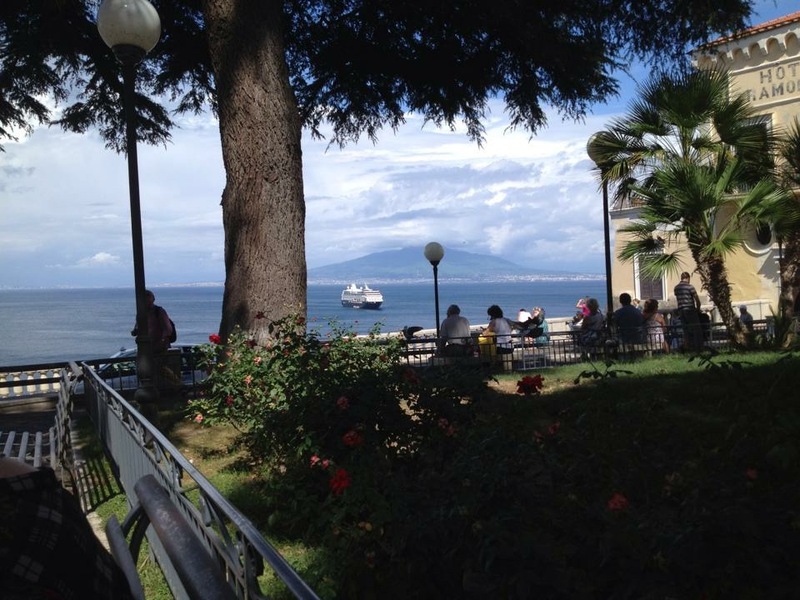 Dreaming about Sorrento…this is a view of the Bay of Naples as seen from a lovely spot that’s a few steps from Piazza San Antonino. I walk by it every day…sometimes two or three times a day. I love it because it’s never the same! It’s like a painting that changes all the time depending on the season, the time of day, the weather…it’s always a surprise and it’s always beautiful.